4k00:14The Worker Grinds the Iron Rod in the Workroom. hd00:29Close-up: the worker's hand. The metal lacework. Cutting of metal by grinder. 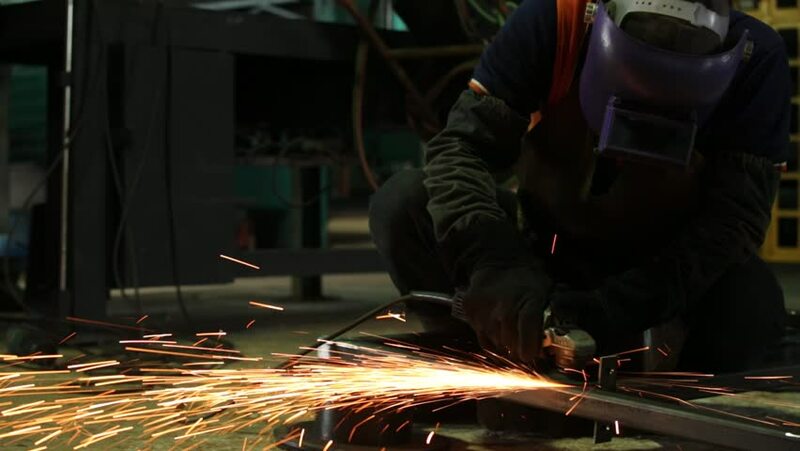 Sparks when cutting and grinding a metal product. Manual angle grinder for cutting metal. The power tool is in operation. hd00:25Decorative metalworking: the creation of an openwork decorative metal element. Sparks when cutting and grinding a metal product. Manual angle grinder for cutting metal. The power tool is in operation. hd00:17Worker cuts metal using disk grinder. Man sawing metal by grinder. Many sparks.